Now that spring has well and truly arrived, people living in the bush capital may find themself face to face with some of Canberra’s other residents – snakes. Snakes like to bask in the sun and may seek out water in suburban backyards on hot days. Snakes do not like busy areas, so if you see a snake in your yard, remember that it is most likely just passing through. Snakes will not hurt you if you leave them alone. Keep children and pets indoors until the snake has moved on. 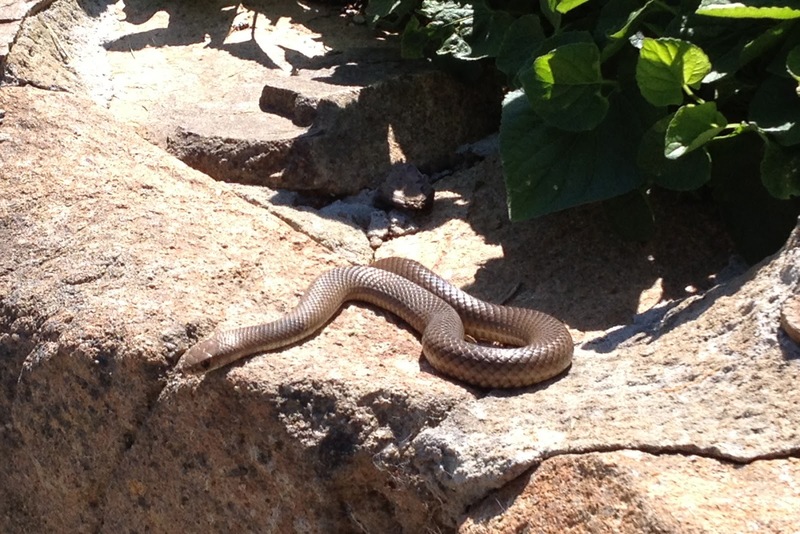 If the snake does not move on within a few hours then please contact Canberra Nature Park Rangers through Canberra Connect on 132281 for advice. Large lizards such as bluetongues are very common in suburban Canberra, and most suburban gardens will either have resident lizards or frequent visits. They are non-venomous and not dangerous. They are particularly vulnerable to dog attacks or mishandling by children or adults resulting in their injury. Please contact RSPCA on 1300 4 77722 if you find an injured lizard. · Assume that any snake you come across is venomous. · Under no circumstances should you chase or attempt to handle or relocate a snake. 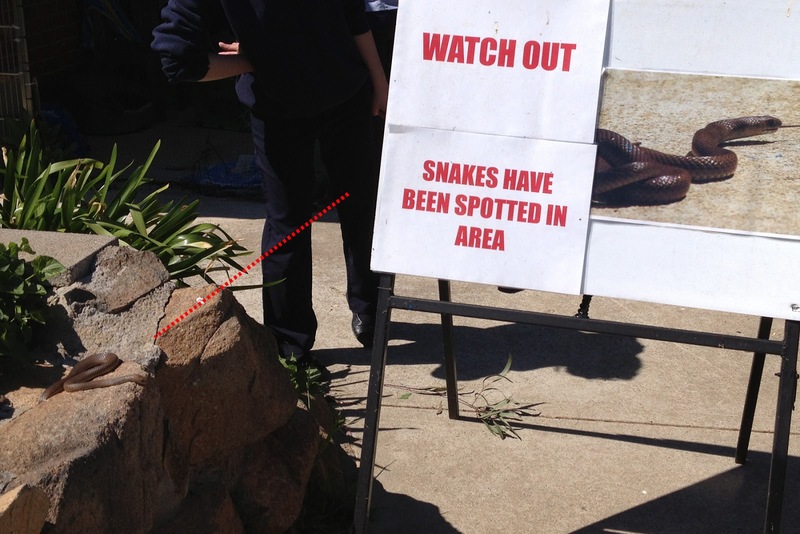 If the snake is indoors please contact Canberra Nature Park Rangers for advice. · Under no circumstances should you injure or kill a snake. All reptiles are protected and it is against the law to kill or injure them. · The vast majority of snakebites in Australia (over 95%) occur when people attempt to kill a snake and the snake defends itself. · Injured snakes may pose a serious danger to humans as they can be aggressive and may be venomous. You can read more about living with snakes in the ACT on the Territory and Municipal Services website.